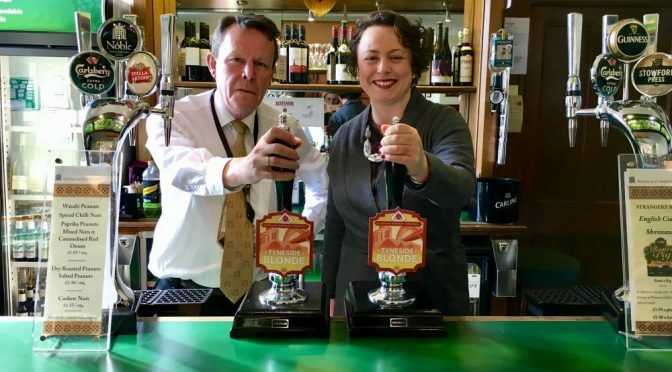 Newcastle North MP Catherine McKinnell has secured the sale of locally-brewed ale, Tyneside Blonde, as this week’s specially-selected guest beer in Strangers’ Bar in Parliament. The ‘pale coloured thirst quencher’ has become a firm favourite in the region since it was first produced in 2007 by Hadrian Border Brewery, now one of the largest microbreweries in the region. Having previously been located in Berwick-upon-Tweed and then Ouseburn, Hadrian Border Brewery have been based at the site of the former Ross’s pickle factory in Newburn since 2011, and their plant currently has a production capacity of 200 barrels a week. Other leading ales produced by the brewery include Farne Island, Gluten Free Grainger Ale and Secret Kingdom, as well as monthly specials and small batch brews produced under their ‘Bandwagon’ brand. The firm also produces limited edition ales, such as the four beers created to mark the centenary of the First World War and named after local regiments, the Durham Light Infantry, the Tyneside Irish, the Newcastle Commercials and Tyneside Scottish to raise funds for the North East War Memorials Project. Each week, one of the cask ales on sale in Parliament’s Strangers’ Bar is there at the request of the local MP, helping to support independent, regional brewers like Hadrian Border. 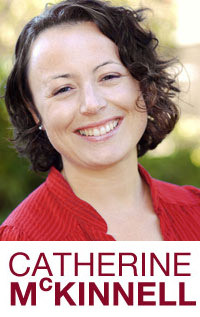 Under this initiative, Catherine has previously secured the sale of Big Lamp Bitter, produced by the Big Lamp Brewery which is also Newburn-based. ‘I’m always pleased to be able to support any local businesses, and this is a good way of promoting some of the fantastic food and drink produced by independent firms like Hadrian Border in Newcastle.